An artist’s rendering of the Parq Vancouver casino complex in Vancouver. On a narrow construction site wedged against B.C Place Stadium, where a curtain of copper glass winged by two towers is rising into the sky like an otherworldly Rogue One spaceship, Parq Vancouver is going up fast after years of controversy and delays. When the $750-million resort opens this fall it will include a two-story casino, with 600 slot machines, 75 gaming tables and a full floor of private salons; two luxury hotels (JW Marriott and The Douglas Autograph); 60,000 square feet of meeting and event space; an expansive rooftop park planted with 200 mature trees; and a spa and fitness studio. It will also have five restaurants and three lounges. The food and beverage program, accounting for 846 seats in the restaurants alone and an anticipated $40-million in first-year revenues, will be the largest premium dining launch in the city's history, excluding banquet and temporary catering facilities. The whole shiny development could mark a tipping point in the trajectory of Vancouver as a booming resort town built for foreigners. To take a closer look, we must head due south, to sunny Las Vegas. Sin City's flashing-neon Strip beckons like a pimped-out, volcano-exploding, waterfall-dancing oasis in the middle of the parched desert. And while there may be a mecca of exceptional fine dining to be explored within this pulsating mass of mega-resorts, we will detour back in a bit. For now, we are heading down the highway in Vegas, north past Freemont and the outlet malls, then veering west toward the Red Rock Canyon National Conservation Area. Honey Salt restaurant in Las Vegas. Our destination is Honey Salt, located in an upscale strip mall in the north end of Summerlin, an affluent, master-planned community developed by the Howard Hughes Corporation. The cozy farm-to-table restaurant is owned by Elizabeth Blau and Kim Canteenwalla, the Vegas-based culinary power couple, responsible for conceiving and overseeing Parq Vancouver's entire culinary portfolio. "We made our reputation on the Strip, but we took our expertise and recreated it for locals," says Ms. Blau, plunking her Louis Vuitton handbag onto a reclaimed wooden table. This being west side Vegas, mind you, even the locals are celebrities. Carlos Santana is a regular. In contrast to the spectacular dining rooms on the other side of town, Honey Salt's shabby chic décor is refreshingly down to earth, much like Ms. Blau herself, a statuesque blonde who sports casual denim, chewed fingernails and no obvious signs of Botox – remarkable in a city where cosmetic procedures outperform the penny slots. From the hockey books behind the bar (his) to the vintage baseball cards wallpapering the men's bathroom (hers), Honey Salt is meant to feel like an extension of the couple's nearby home. Many of the supremely tasty comfort dishes have personal stories behind them. "This tuna crust is a recipe from a family fish market in Cape Cod, where we spend our summers," she explains, as we nibble on seared ahi rolled in wasabi peas and candied ginger. "Kim and I met in Biloxi, so we have a Biloxi buttermilk fried-chicken sandwich. The turkey meatballs are a take on my grandma Rosie's meatballs." Elizabeth Blau and Kim Canteenwalla at Andiron Restaurant in Las Vegas. Despite the restaurant's personal intimacy, Ms. Blau believes its unfussy formula has universal appeal. "People always come in and say, 'This reminds me of a restaurant at home.' We've heard Tel Aviv, Malibu, the Hamptons. So we think it will work beautifully in Vancouver." The irony of importing a farm-to-table concept from arid Nevada, where it "takes effort" and a heavy reliance on hydroponics, to bountiful British Columbia is not entirely lost on Ms. Blau. "We're not trying to bring Vegas to Vancouver," she assures. "We're trying to create something for the community. Vancouver is one of the most extraordinarily beautiful places in the world. It has access to the most incredible seafood, produce, dairy. We're in the desert and we created a food culture here. But it's a fixture in a city like Vancouver. We're just going to take it up a notch." As arrogant as that might sound, there are very few, if any, people in Vancouver with a similar depth of experience capable of executing a project of this scale. Ms. Blau is a veritable superstar, more commonly known in Vegas as "the queen of cuisine." Read more: Hail Caesars: When did Canada's favourite hangover helper turn from a drink into a meal? Read more: FoodTube: Why are people producing – and devouring – food broadcasts? She arrived here from New York to help famed Manhattan restaurateur Sirio Maccioni open a second Le Cirque in the Bellagio, and was quickly poached by legendary casino developer Steve Wynn. As Wynn's former vice-president of restaurant development at Mirage Resorts (later MGM Mirage), she almost singlehandedly transformed the Strip from a buffet backwater into a world-class dining destination crowned with celebrity chefs. At Wynn Las Vegas & Encore, she created (among 21 other eateries) the first Michelin-starred Chinese restaurant in North America, Wing Lei. 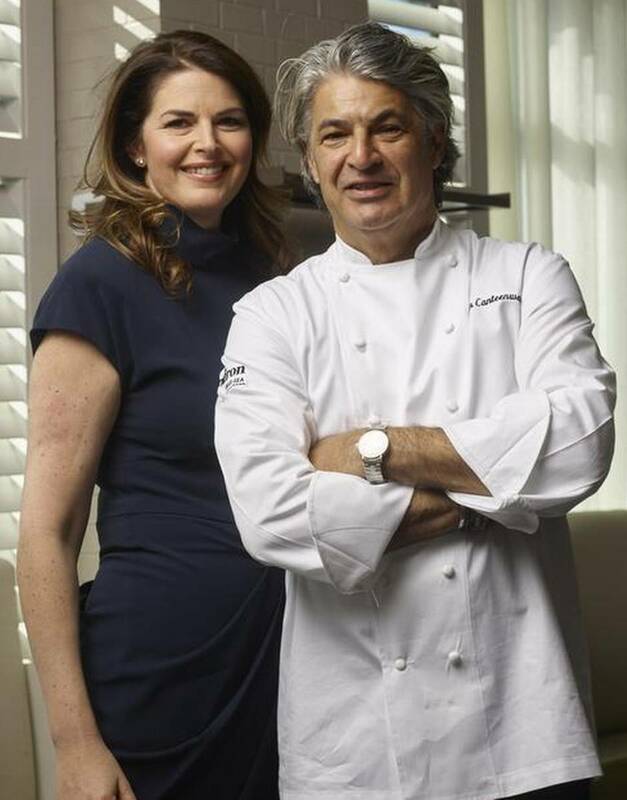 "Steve really loved working with her," says the equally famed restaurateur Daniel Boulud, who calls Ms. Blau a friend and formidable competitor. "He wouldn't make any decision without making sure Elizabeth approved it first." 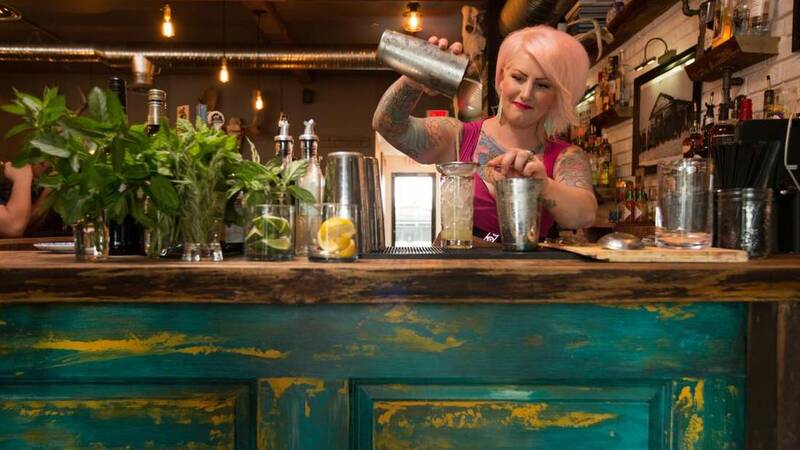 A farm-to-table restaurant showcasing fresh, B.C. ingredients, designed by celebrated Toronto interior designer Alessandro Munge. 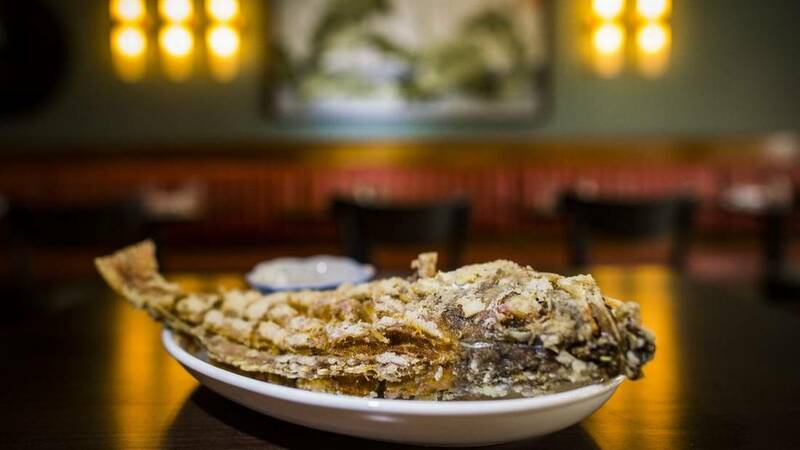 Authentic, upscale Chinese cuisine representing Canton, Szechuan, Hunan and Shanghai. May include a late-night noodle bar and Western-style tasting menus. A lively Asian food hall, similar to a Singapore-style hawker’s market, offering Chinese, Japanese, Thai, Singaporean and Vietnamese dishes. An upscale tavern offering creative comfort foods and an extensive beer list. An elegant steak and seafood restaurant serving contemporary and seasonally inspired dishes, carefully sourced beef, B.C. seafood and regional vegetables. A rooftop lounge with an impressive view of the city. Serving seasonally rotated cocktails, beers and wines. Charismatic tea lounge by day, sophisticated whisky lounge and entertainment destination by night. Craft beer and great cocktails intermixed with lively gaming-floor action. Mr. Canteenwalla, Ms. Blau's husband, is a Canadian chef who was raised in Montreal and honed his skills in Toronto as executive sous chef of the Four Seasons before taking off to Asia, where among other positions, he opened the second Raffles International Hotel in Phnom Penh and a third in Angkor Wat. They met when Ms. Blau persuaded him to leave Dubai to take over Wynn's Beau Rivage Resort & Casino in Mississippi, after which he became executive chef of the MGM Grand. Together, they now own four Las Vegas restaurants. As the principles of Blau & Associates, the restaurateurs, nominated twice for a James Beard Award, consult for a who's who of luxury clients around the world. In addition to Parq Vancouver, they are currently developing the food and beverage program for San Francisco's Chase Center, the new home of the Golden State Warriors, and are developing two restaurants for an exclusive Discovery Land Company residential club in Cabo San Lucas. Somehow, with all that on their plate, they are planning to move to Vancouver this fall "for at least a year and a half," with their son, Cole, who has already been accepted into St. George's School. "We didn't just pop into Vancouver," says Ms. Blau, as we drive to their newest restaurant, Andiron Steak and Sea, in downtown Summerlin. "We've been travelling there for the last five years and have been careful students of its burgeoning restaurant scene. We are really making a commitment to the city. "First and foremost, I want to make sure it resonates with locals. I want to make sure it's not just some casino place for cruise ships." For years, the Las Vegas-based Paragon Gaming, which operates Edgewater Casino in the Plaza of Nations, had been pushing for a destination casino in downtown Vancouver. But suddenly, in the fall of 2010, the Vancouver Not Vegas group, spearheaded by former Crown prosecutor Sandy Garossino, began rallying serious support from prominent figures that covered every political base in the city, including medical health officers, police, an ex-judge, architects, artists, and bar and restaurant operators. More than 200 people signed up to speak in a marathon five-part public hearing, at which the casino operators were painted as a low-rent company with a track record of building tacky casinos on native land in the U.S. and Alberta. In April, 2011, the Vision council quashed the proposal, claiming it was inconsistent with Vancouver's brand "as the world's most liveable city" and slapped a moratorium on casino expansion. Two years later, Paragon came back with a new proposal that was eventually approved (with many restrictive covenants attached) for an "urban resort," which did not include any increase in gaming, but was beefed up with fancier hotels and a much more ambitious dining program. Today, Vancouver is a very different place, where the downtown streets are filled with luxury retail shops and Lamborghinis. No one is scoffing at the previously outlandish suggestion that a major casino could draw high rollers from Shanghai. And no one is protesting. Ms. Garossino says she still doesn't have much faith in Paragon, noting that one of their Alberta casinos went bankrupt and the other was sold under a cloud of controversy. "The Blau group does seem to have the expertise and experience, but can the restaurants carry it? We'll see." Michael Doyle, president of Vancouver's Toptable Group, which operates the food and beverage program in Rogers Arena and will soon be opening its own 600-seat restaurant on Georgia Street, says he welcomes the competition. Ian Tostenson, president of the B.C. Restaurant and Foodservices Association, says Parq's 800-plus restaurant seats will be "easily absorbed." Mary Clare Zak, the city's managing director of social planning, says Paragon has exceeded its commitments to the Responsible Gaming Agreement and Inner-city Local Employment and Procurement Agreement, a report on which was delivered to council in November. "This is a good-news story," she says. Even Councillor Geoff Meggs, one of the most vocal opponents six years ago, says he is now "heartened" and "pleased" after an "eye-opening" tour of the construction site with Parq's directors. "It's much more than just a casino. I think the public will be surprised." Mr. Meggs is still concerned about where the casino workers will live and has no doubt that the development is targeted at international visitors, not locals. But he accepts that this is part of the new Vancouver. "This is not a tipping point. It's part of the city's natural evolution. This is simply making visible what has been going on for a long time."